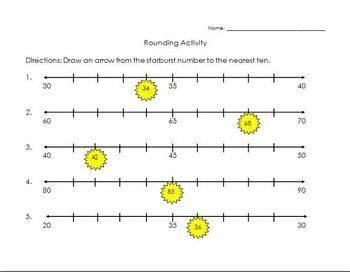 This is a rounding practice activity. The students simply draw an arrow from the number in the starburst to the nearest ten. This is a nice follow-up to my Rounding To the Nearest Ten Smartboard and Powerpoint presentations to check for understanding.